garlic is a widely recognized health enhancing supplement. Garlic promotes the well-being of the heart and immune systems with antioxidant properties and helps maintain healthy blood circulation. One of garlic's most potent health benefits includes the ability to enhance the body's immune cell activity.The active component in garlic is the sulfur compound called allicin. Allicin is the chemical produced when garlic is chopped, chewed, or bruised. Allicin is quite powerful as an antibiotic and a potent agent that helps the body to inhibit the ability of germs to grow and reproduce. 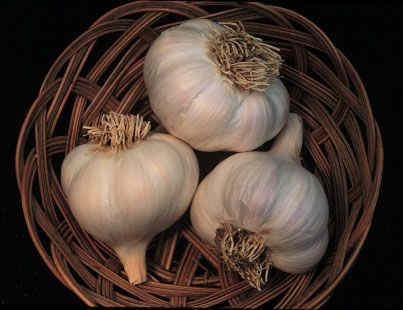 In fact, it's said that 1 milligram of allicin has a potency of 15 standard units of penicillin.There are now over 12 studies published around the world that confirm that garlic can reduce cholestral. Now we prepare a pickle with garlic. 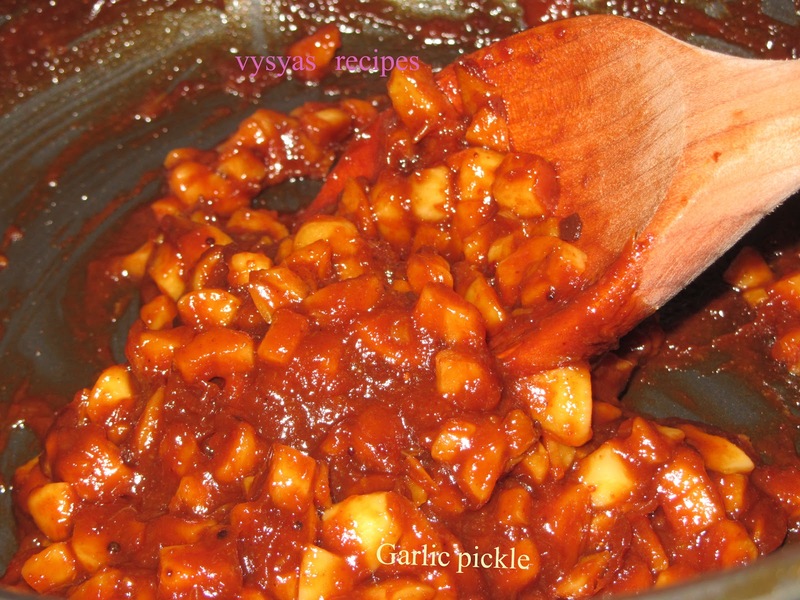 chopped Garlic - 1 cup. tamarind - size of 2 small lemon size balls. Prepare tamarind extract with 1 cup of water. peel the garlic and chop it into small pieces. Take a Heavy bottomed vessel,heat the oil add mustard seeds,when it splutters add chopped garlic. saute the garlic for 2 minutes. Now add tamarind extract that we prepared already. When it starts boiling add chillipowder,jaggery, and salt.stir well for few minutes until every thing combines and you get the form as shown in the picture.